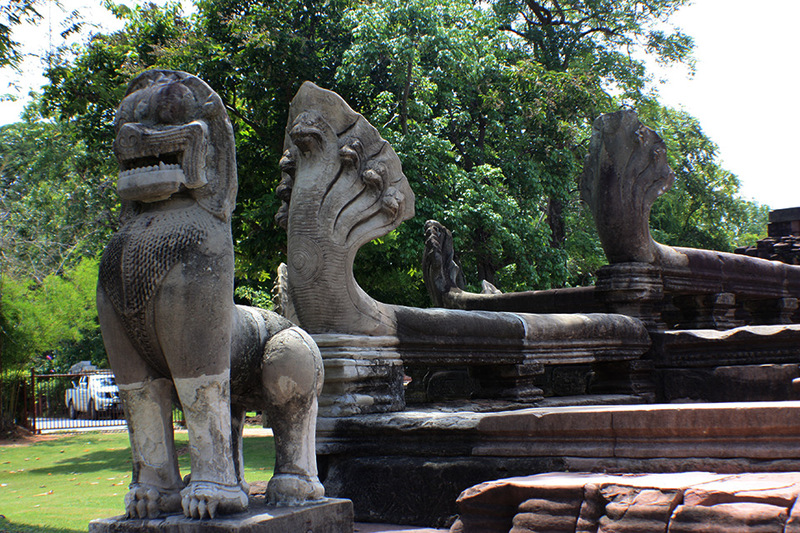 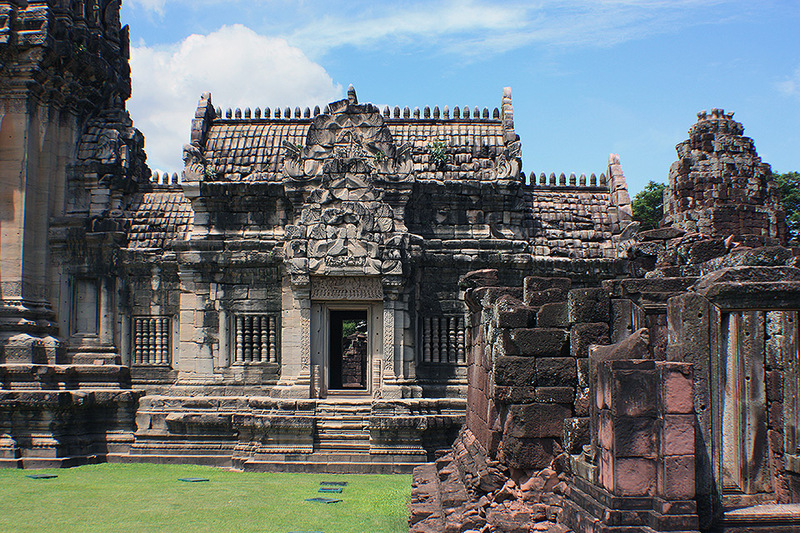 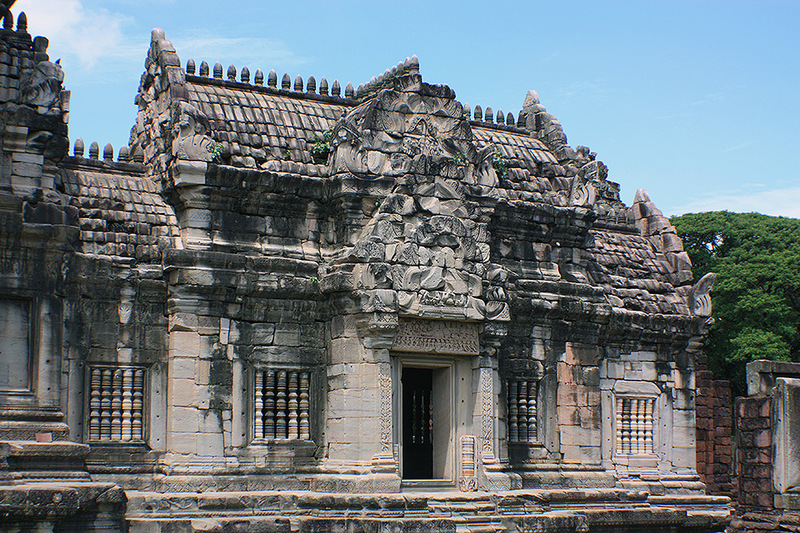 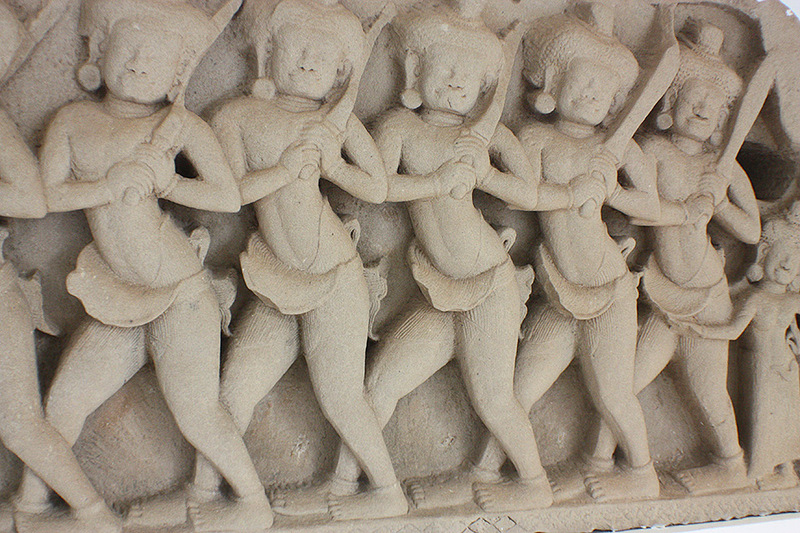 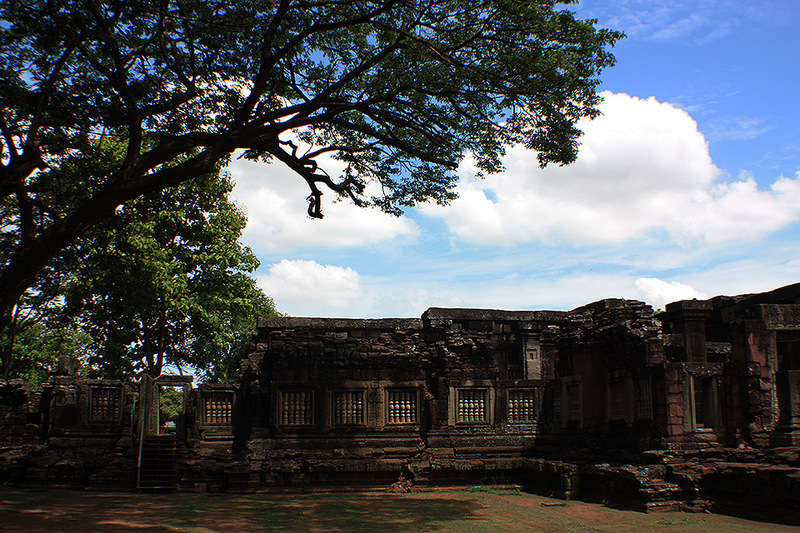 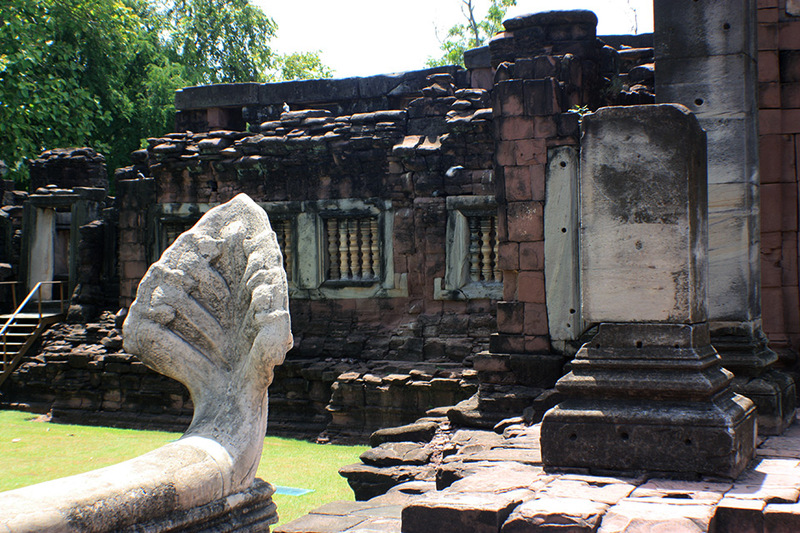 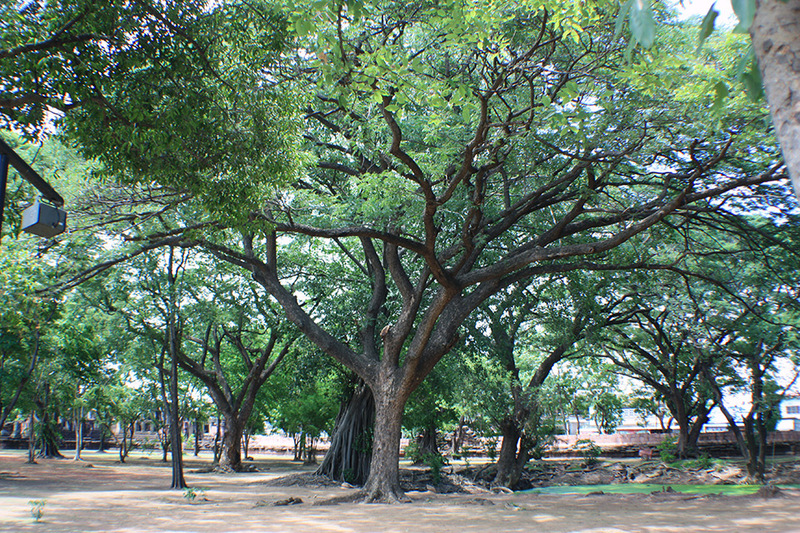 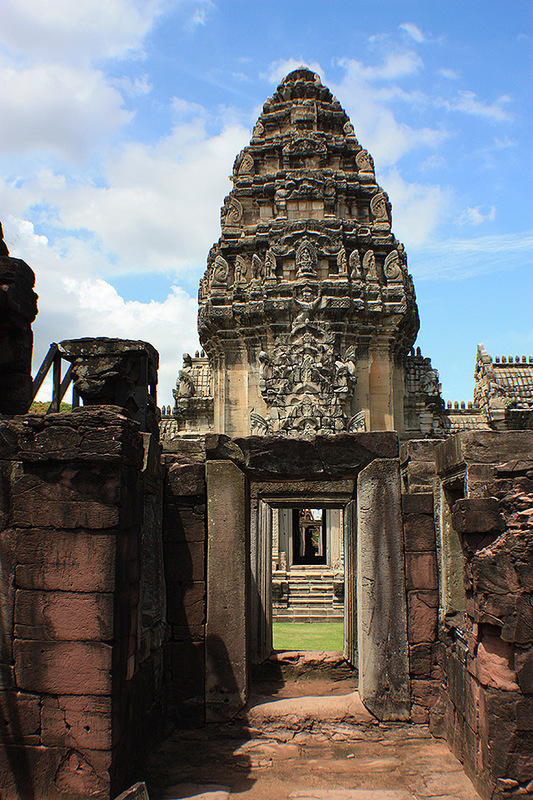 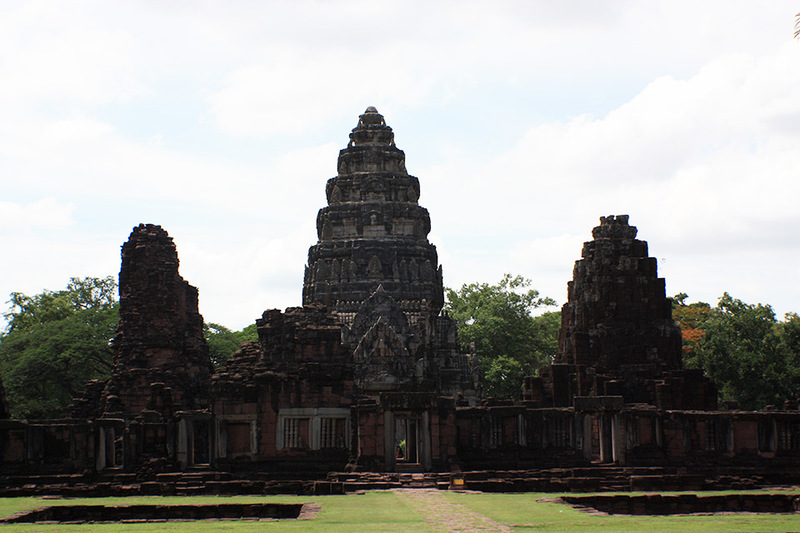 Phimai, or Phi Mai, is a small place with a population of around 10,000. 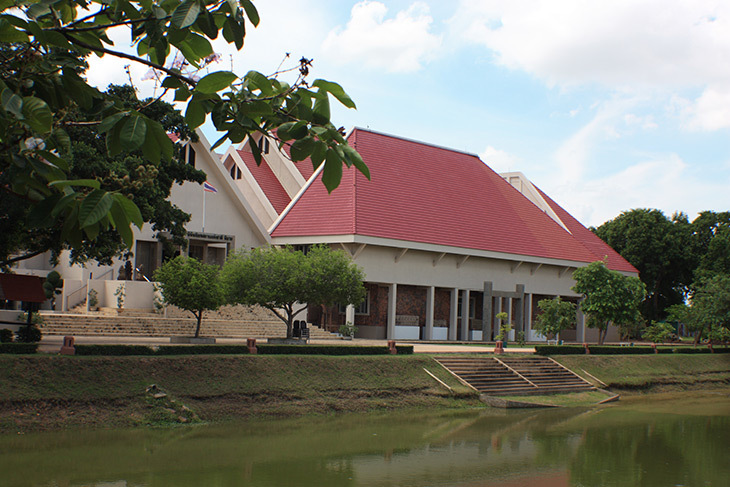 It sits just off the NE/SW Highway 2 in Nakhon Ratchasima Province, about 320kms from Bangkok. 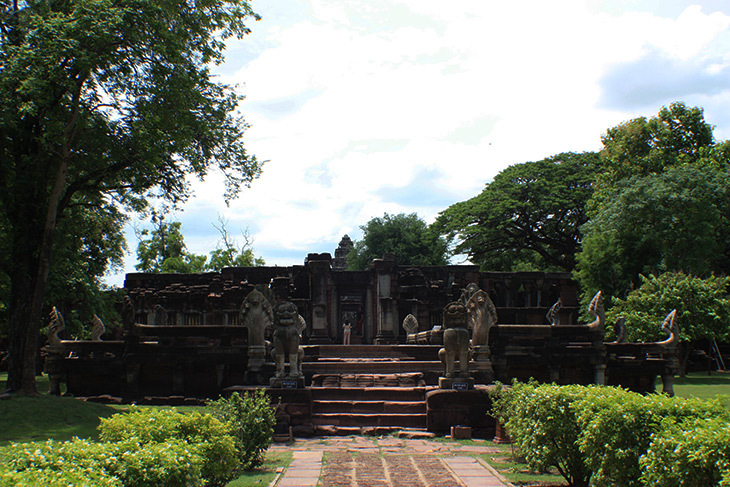 It is best known for the Phimai Historical Park which houses Prasat Hin Phimai, a stone temple dating back to about the eleventh century CE. 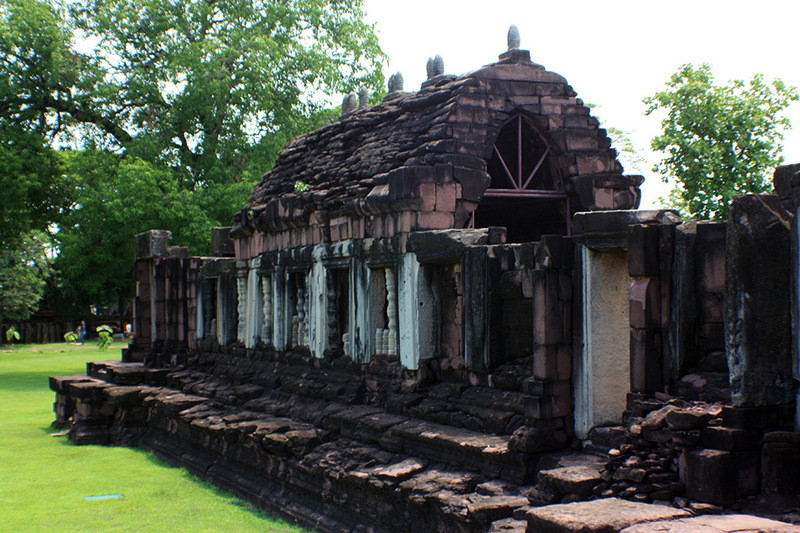 This Khmer temple is considered to be one of the most important in Thailand as it sits at one end of the Ancient Khmer Highway, which linked Phimai with Angkor, in modern-day Cambodia. 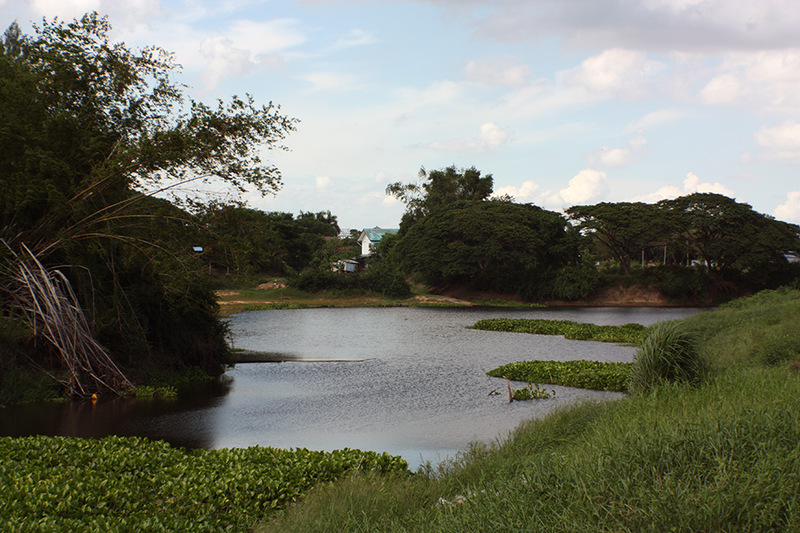 In fact, the border is only about 100kms away as the crow flies. 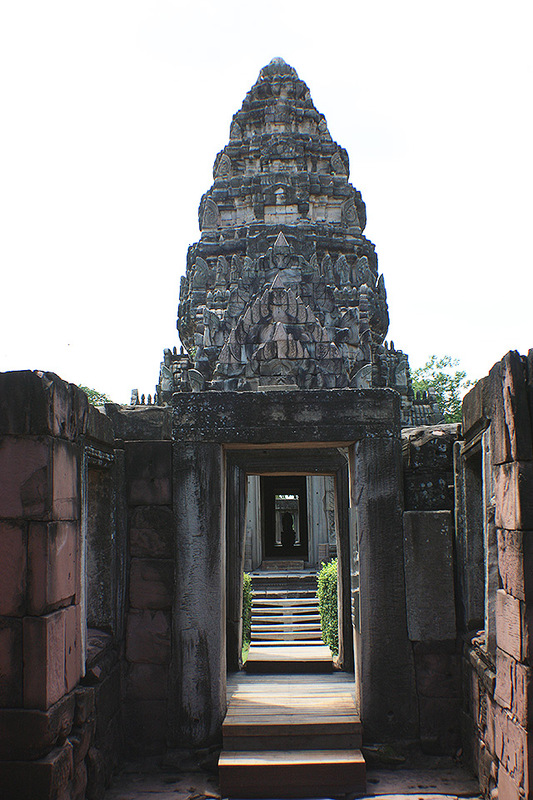 The temple area – at about 1000 x 600 meters – is a similar size to Angkor Wat. 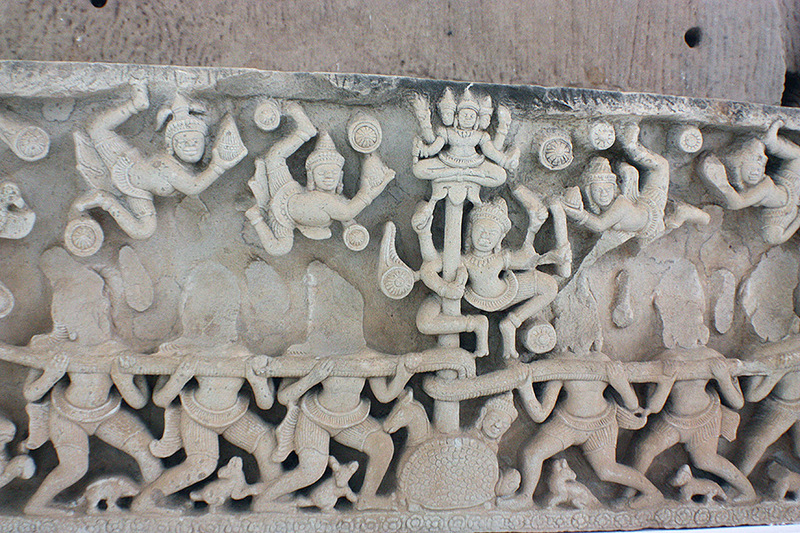 It also served the same purpose – worshiping the gods of the Hindu religion. 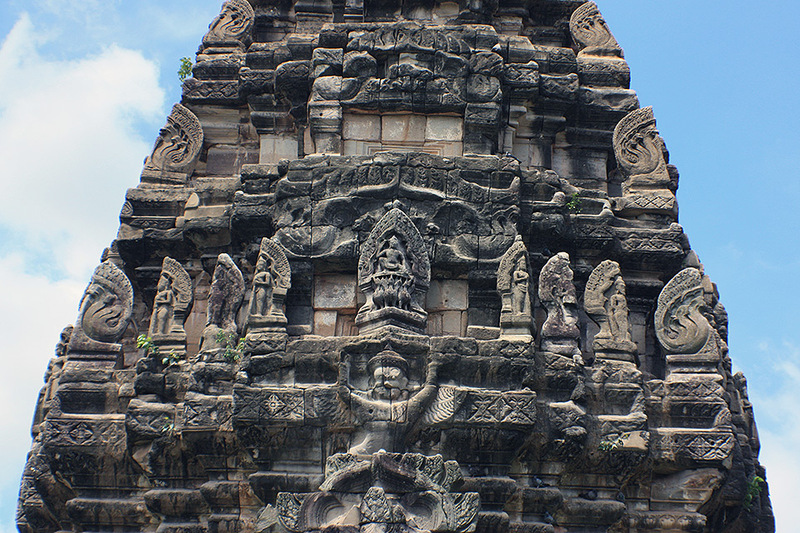 The temple is unusual in that it sits in the center of the town. Most in the region are in rather remote locations, but it seems like the town of Phimai grew around the temple. 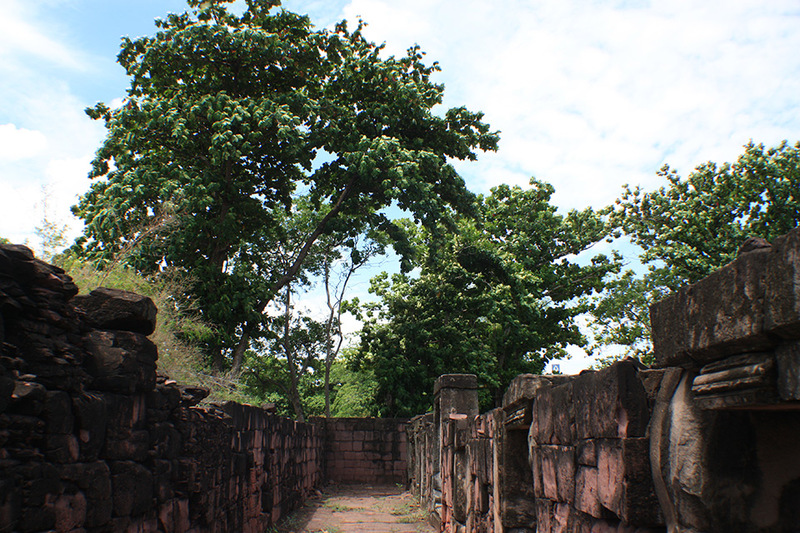 As a result, Phimai is one place you really don’t need a car. 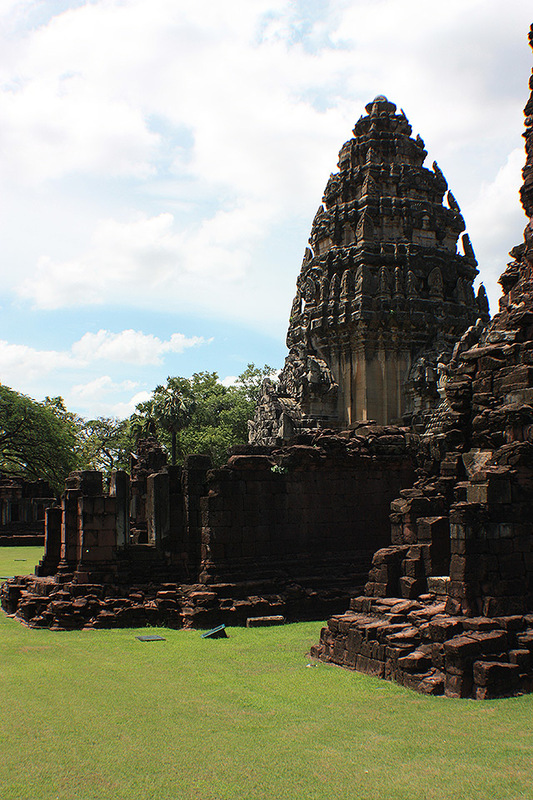 There are centrally located hotels, so you can do as I did, and leave the car at the hotel. 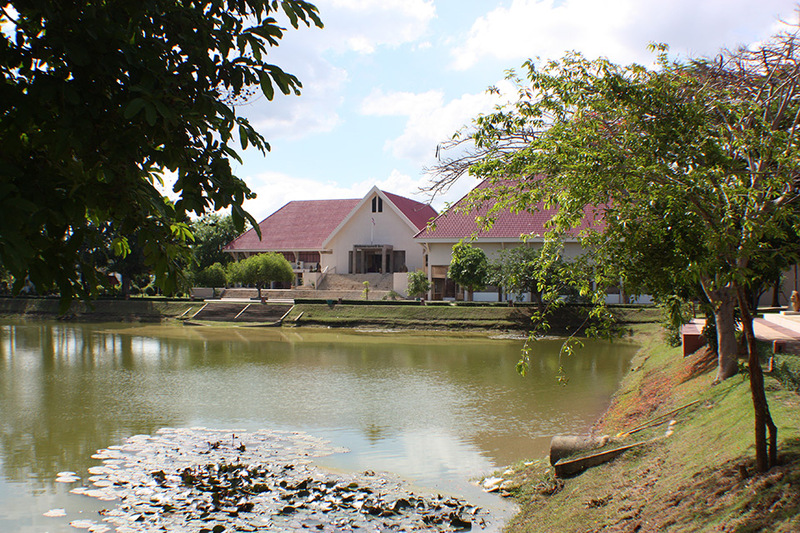 Just about everywhere you’d want to go is reachable on foot, although, most of the hotels also rent bicycles. 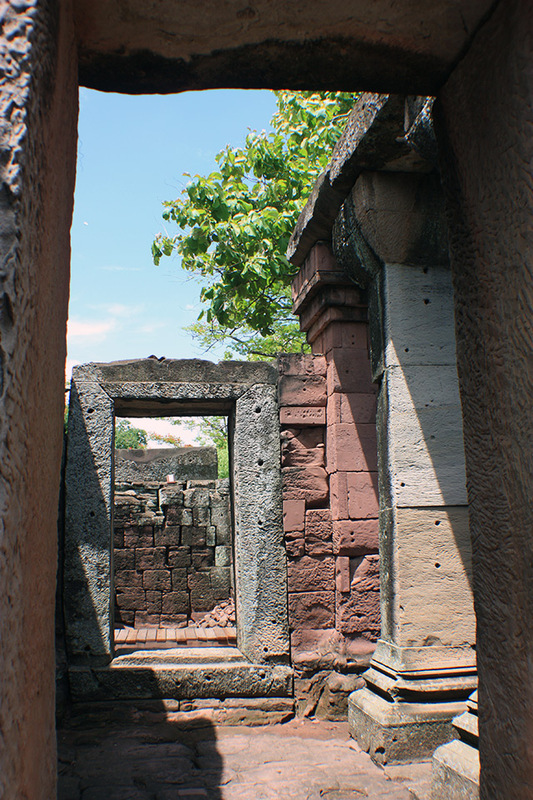 The prasart hin offers a little of everything… arched gateways, naga bridges, true and false windows – the latter adorned with stone balustrades, plus outbuildings where the royalty would prepare for the various ceremonies. 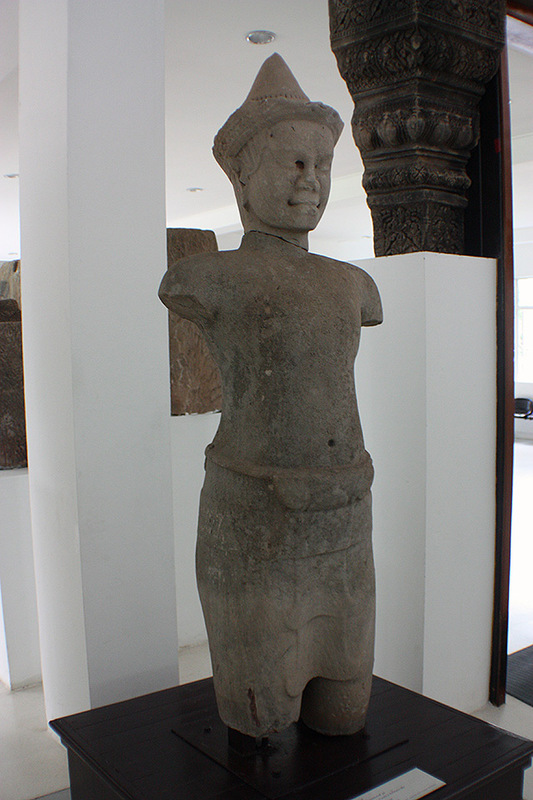 Daily utensils like mortars, cotton chests, carts and monk items lintels from sanctuaries in Nakhon Ratchasima and the Northeast prehistoric artifacts such as ancient pottery, skeletons, tools, and bronze and stone ornaments. 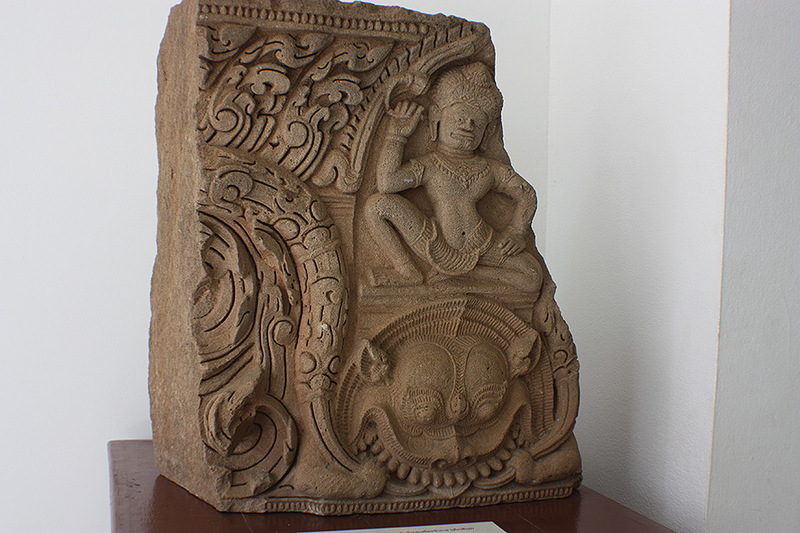 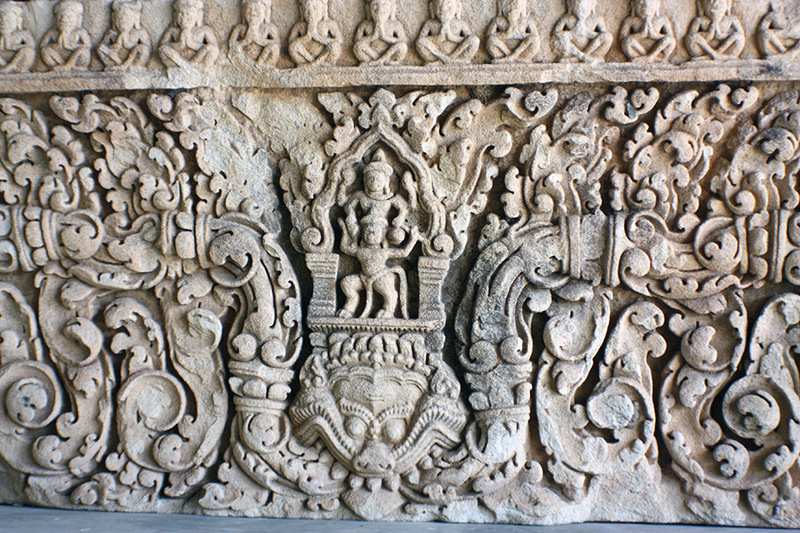 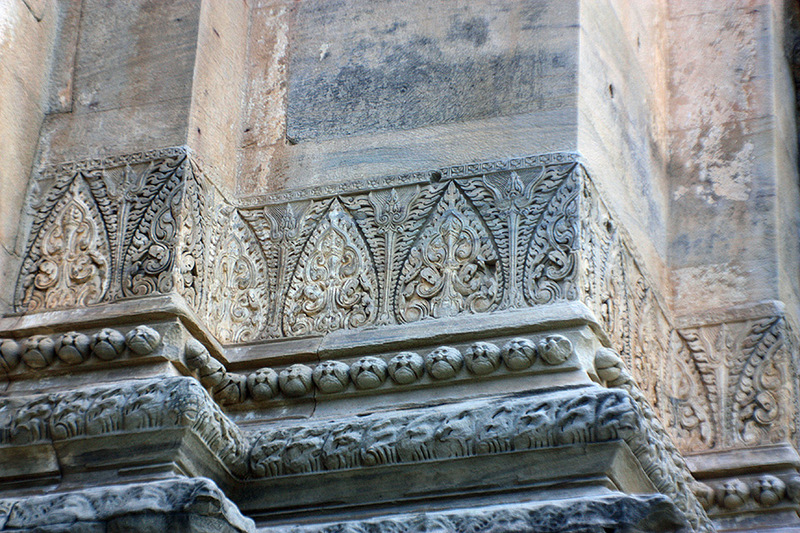 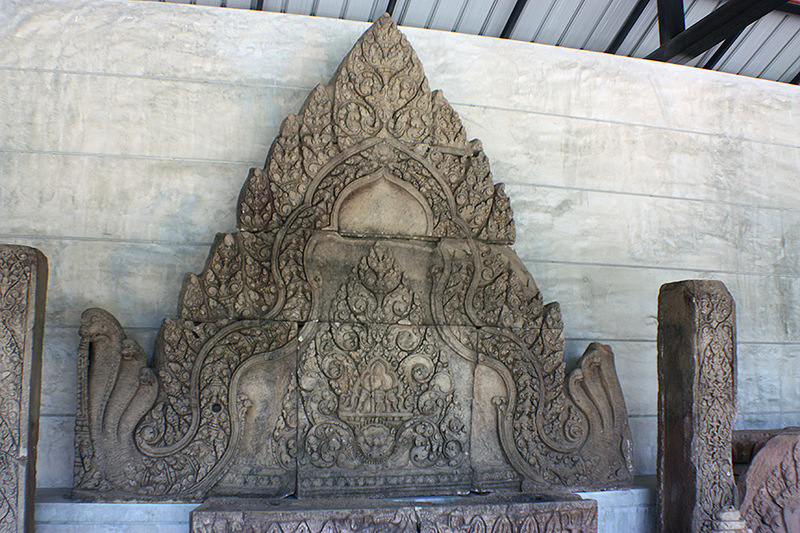 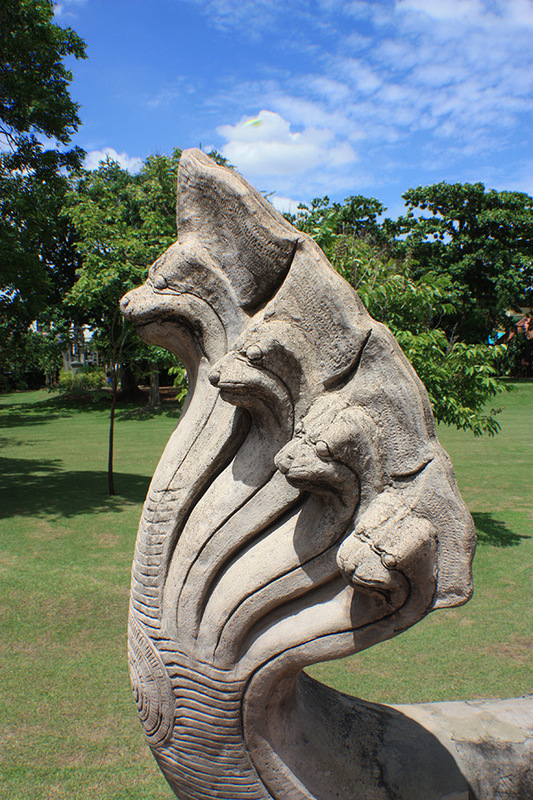 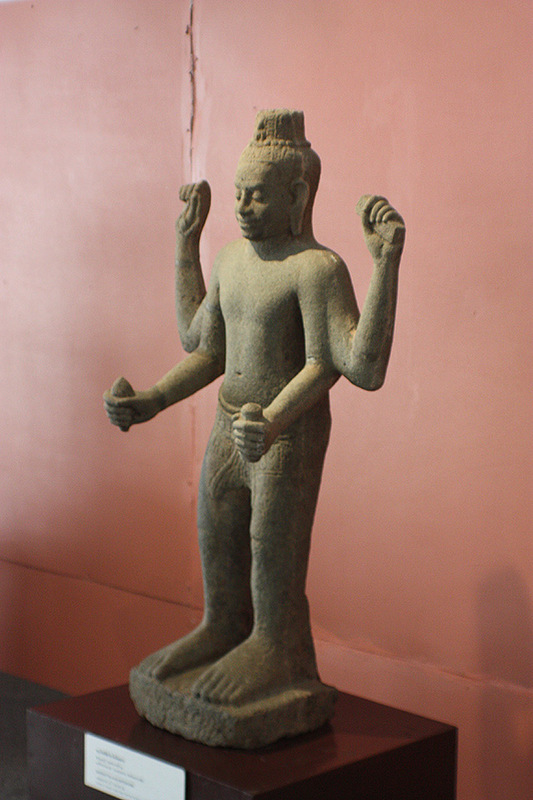 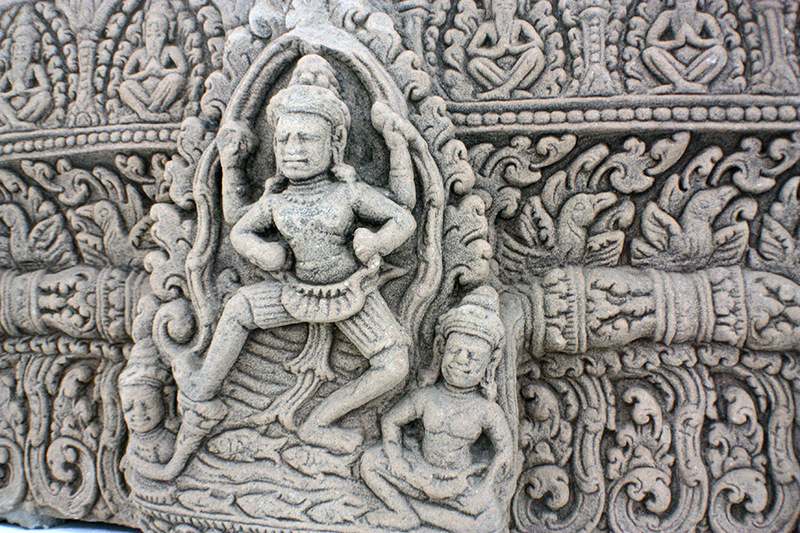 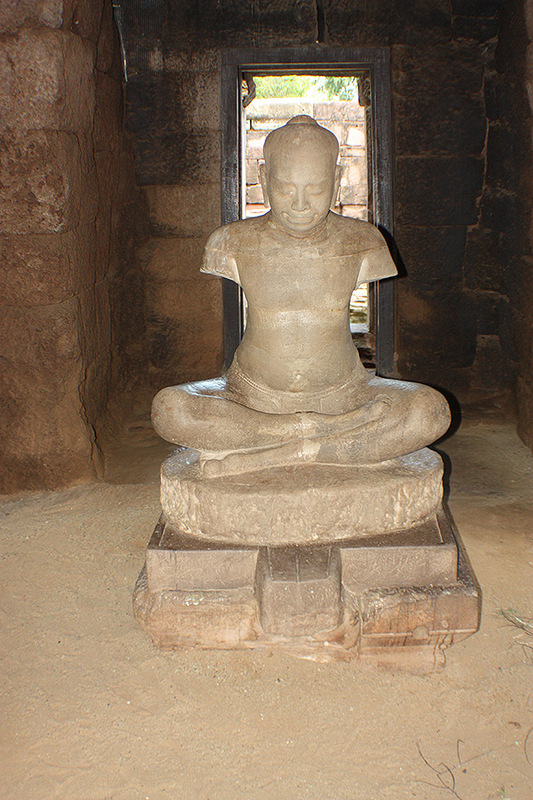 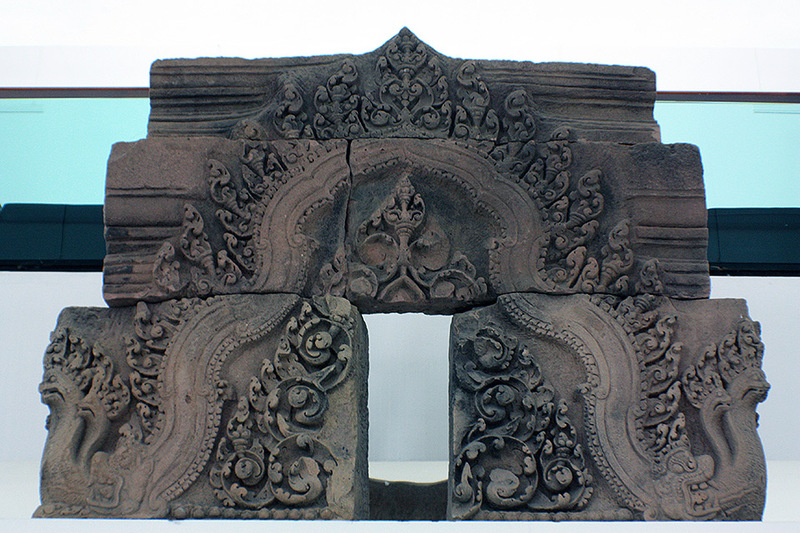 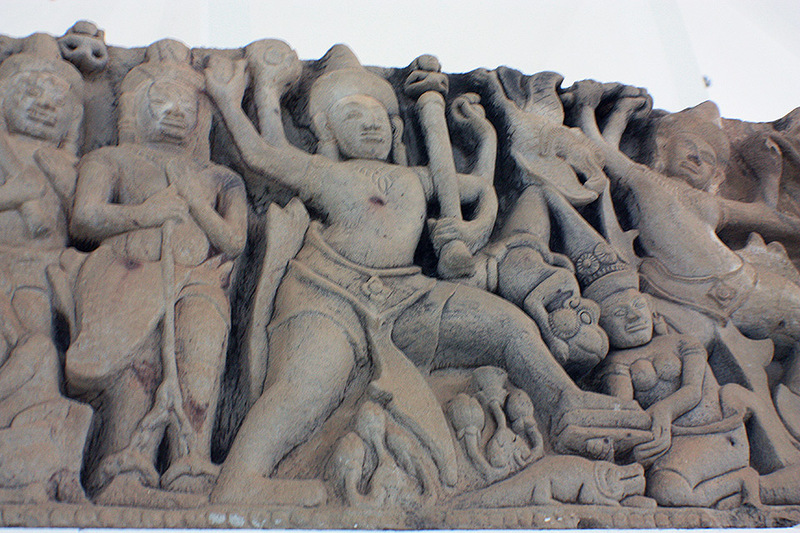 Early history that includes Dvaravati-style temple boundary markers and Khmer-style items like columns and parts of buildings, as well as sculptures like Buddha images, god figures and a figure of King Chaiworaman VII made of sandstone found at Phrommathat Pagoda in Phimai sanctuary. 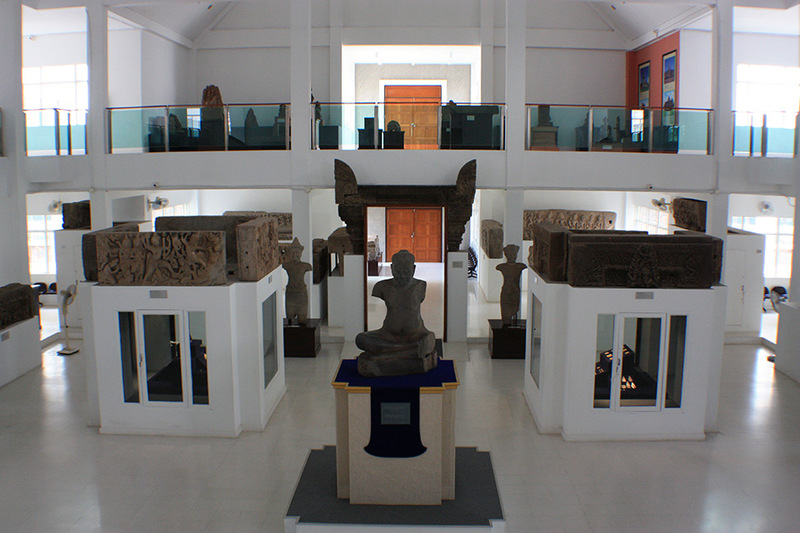 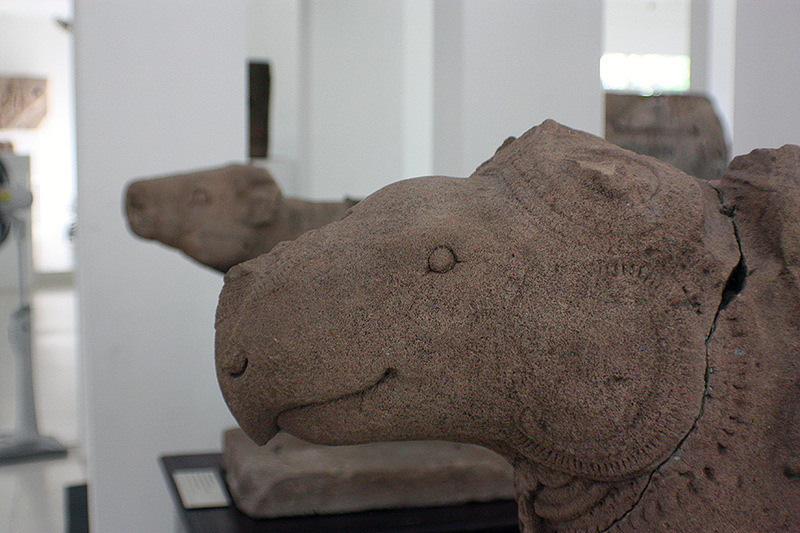 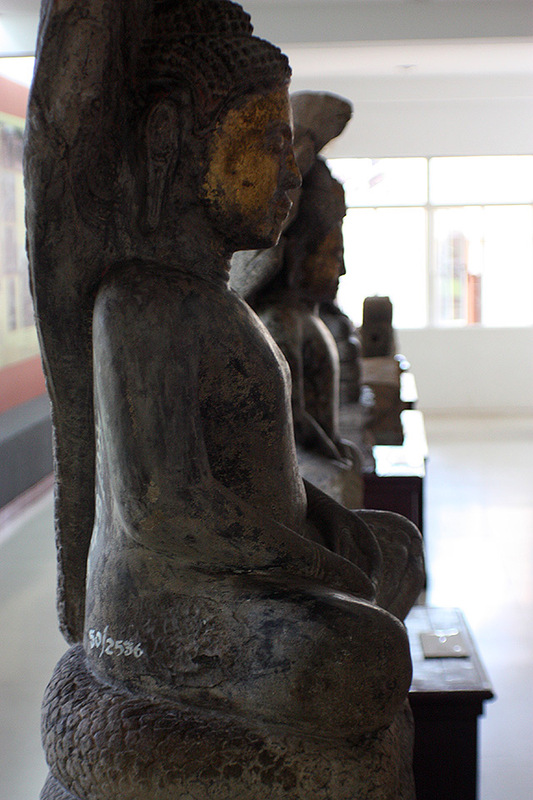 The second floor is devoted to the past cultural glory of the Northeast, early Northeastern communities and Khmer cultural influence. 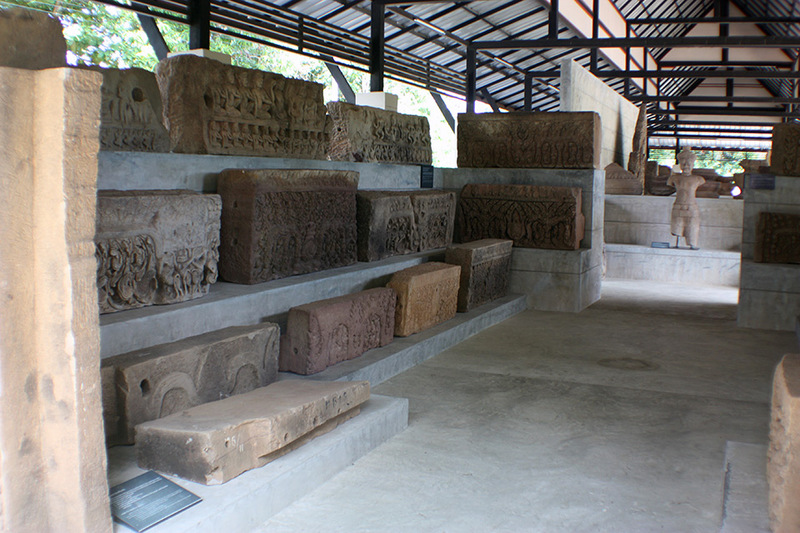 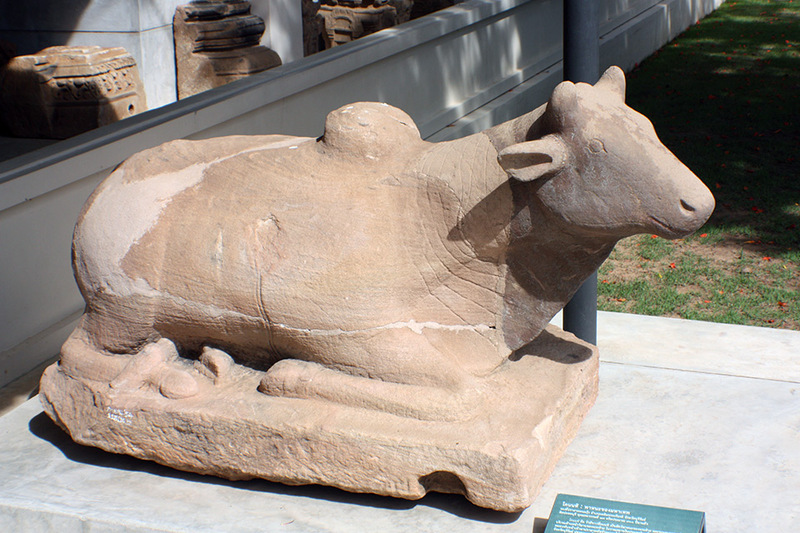 All of the exhibits have informative plaques, in Thai and English, but they’re not large, and so if you find one at the base of a statue, or any floor-mounted artifact, you pretty-much have to lie on the floor to read it! 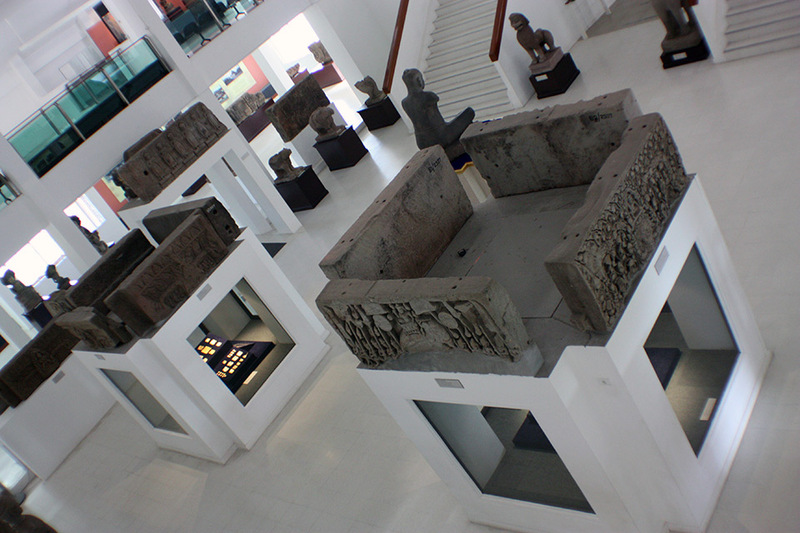 The museum also features an open-air, but covered area, which seems to house all the items they couldn’t fit inside. 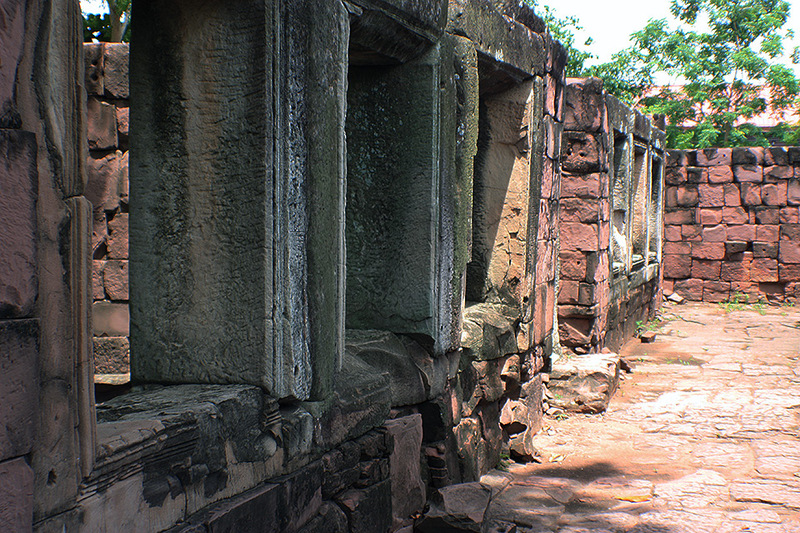 As a result, not everything is labelled, just the areas – like “Lintels” – of which they seem to have hundreds. 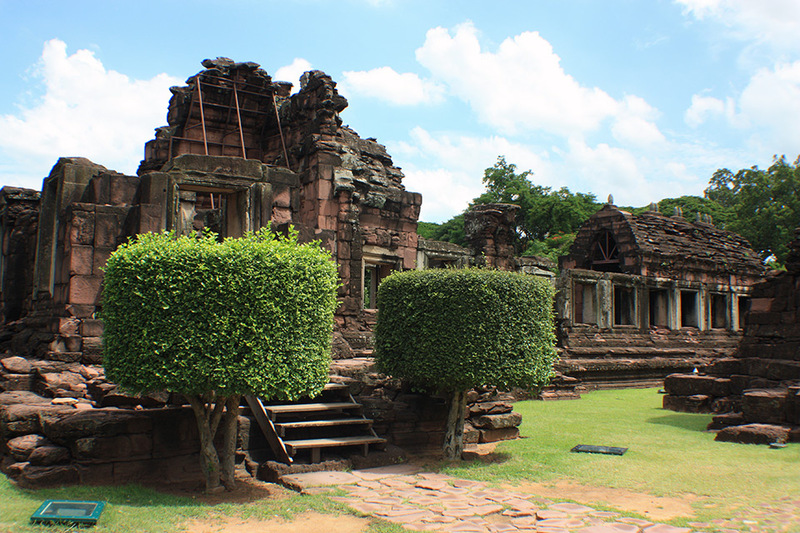 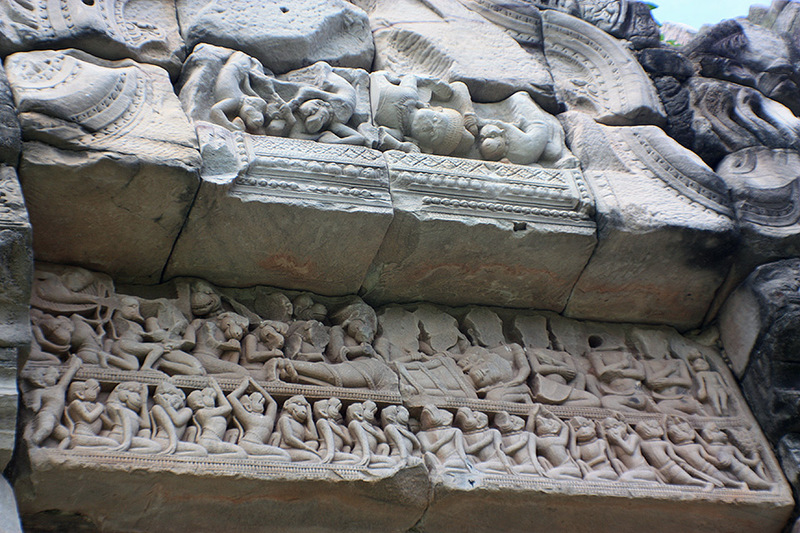 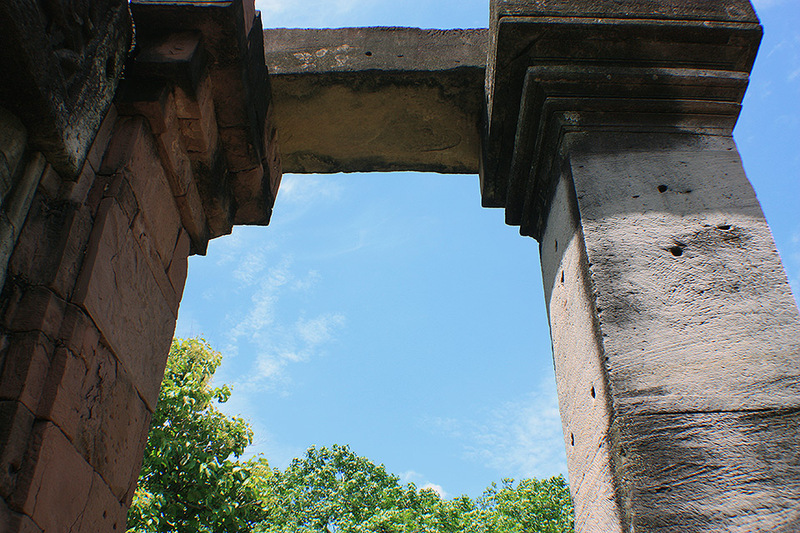 So, if you are in the Northeast, Phimai is well worth a visit. 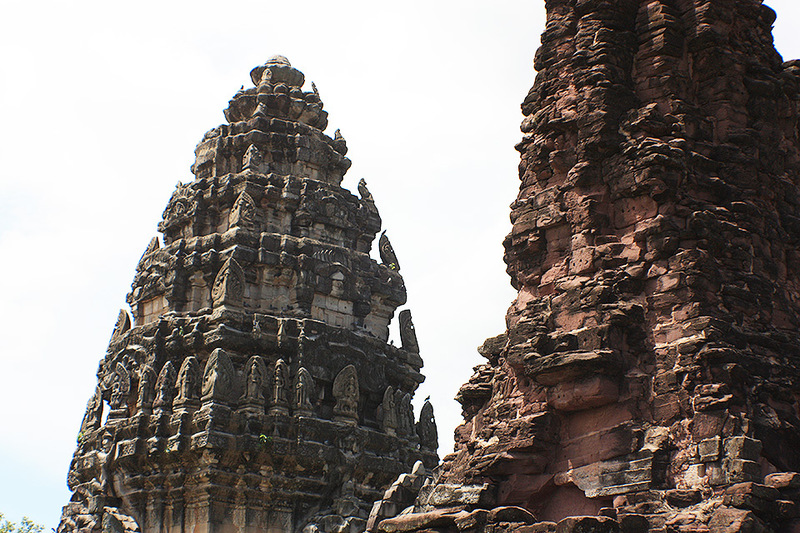 It probably only needs half a day, which you could stretch to a whole day with a long lunch between the temple and the museum. 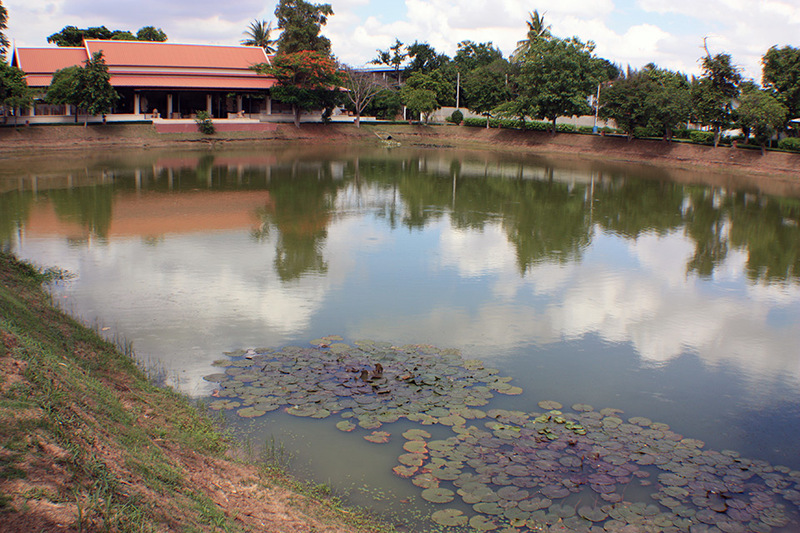 Given that it’s a tourist town, I was surprised by the lack of restaurants. 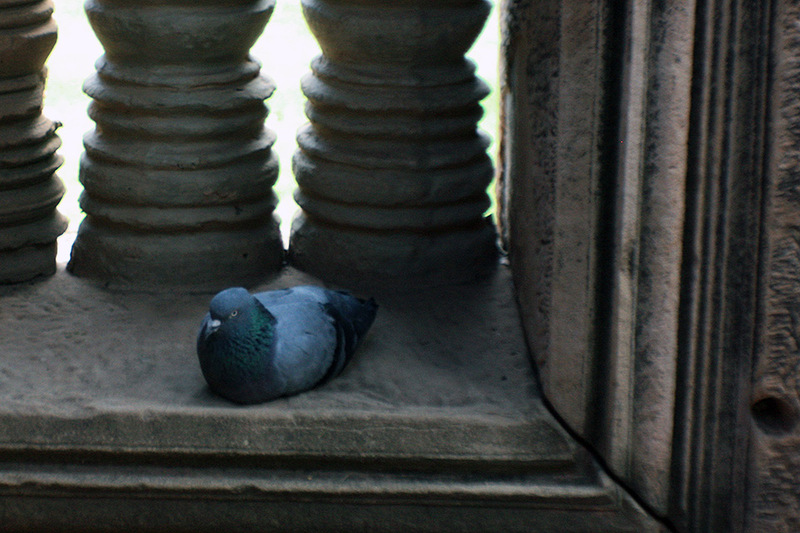 There’s a few, but you have to hunt. 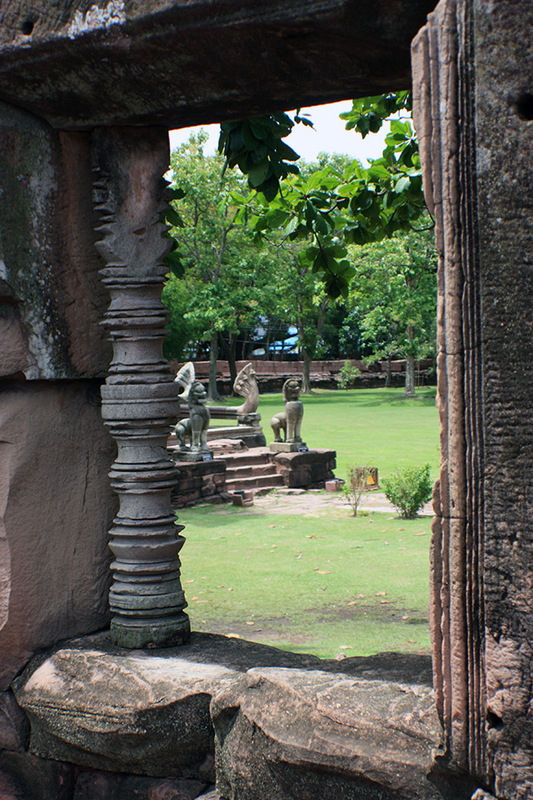 For an evening meal, I’d recommend the one directly opposite the Phimai Paradise Hotel. 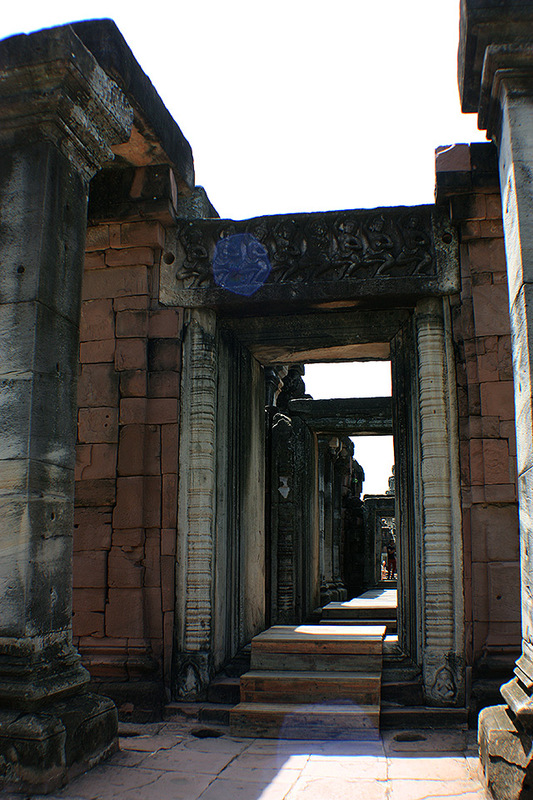 It gets quite busy, with lots of locals, and some live music. 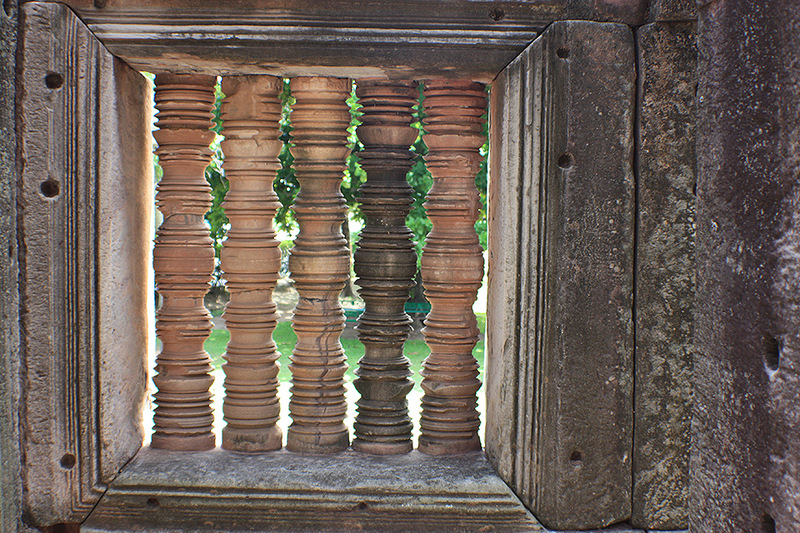 I don’t remember the name, but if you find the hotel, you’ll find the restaurant.